Anti-Conservative Mobs Being Investigated for "Hate Crimes"
Antifa has already been declared a terror organization…are they finally getting the “hate” label as well? Discrimination comes in all sorts of shapes and sizes, from overt racism to subtle “ageism”, but all forms have one thing in common: Hate. Any time that we, as Americans, denounce someone based on their beliefs, sexual orientation, skin color, gender, or other inert characteristics, we are disobeying the very Constitution that binds our nation. All Americans are “created equal” according to the founders, remember. Of course, I am not suggesting that these classifications remain in place when we are talking about terrorists, hate mongers, racists, or other cretins of culture. Those who would discriminate others are not subject to the same protections as those who they are discriminating against. In America today, a new type of prejudice has risen, and it is dividing us down political lines. 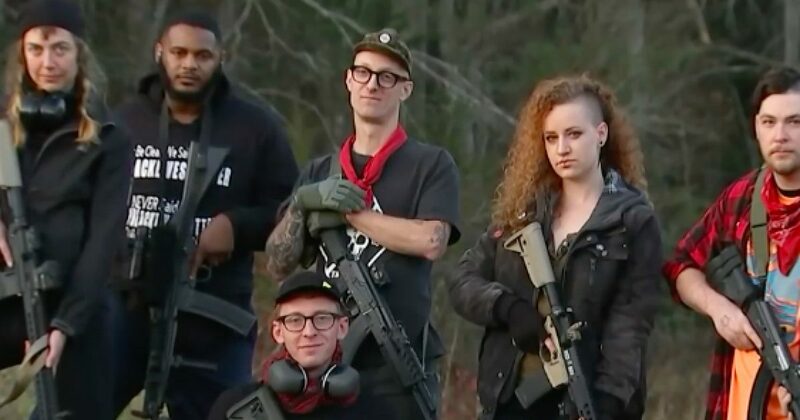 On the left, we have radical leftist terror group Antifa, who have been assaulting and confronting conservative-leaning Americans for years with near impunity. Now, in our new world of worry, it looks as though they may finally be called to the carpet for their discriminatory tactics. Hate begets hate, of all kinds, and must be treated as such. Anti-conservative discrimination is still discrimination, although the left seems to find it difficult to admit.